Sheikha Hind bint Majed Al Qasimi, founder of DesignedbyHind, is an entrepreneur from Sharjah. 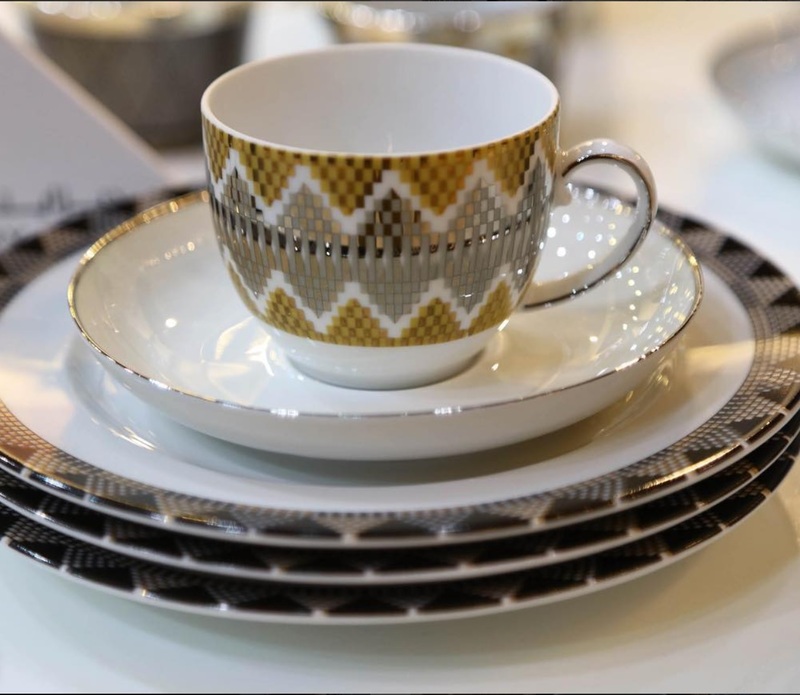 Her eponymous brand focuses on bespoke collections of crockery and has fast become one of the leading porcelain brands in the UAE. The Art Collector asked Sheikha Hind bint Majed Al Qasimi several questions on her brand and the challenges that UAE artists face in the global arena. What challenges do Middle Eastern designers face today? Designers in the region certainly possess incredible skills when it comes to conceiving and producing their wares, but they are deficient in certain business aspects of their work, mainly those aspects related to business development. Fortunately, the emirate of Sharjah in the United Arab Emirates has taken a lead in addressing this issue with the initiatives it conducts through Irthi Contemporary Crafts Council. An initiative from NAMA Women Advancement Establishment, the council works to help its members launch into local markets, or – if they are already established – reach international markets to grow their operations. The council aims to nurture Emirati and UAE-based talent, particularly women, through skill and entrepreneurial development through the crafts, ensuring economic empowerment and a sustainable crafts sector. An example of its success was the recent collaboration between Irthi Contemporary Crafts Council and Fenwick of Bond Street in London, with the activity showcasing the collections of 10 talented designers at the luxury department store. This – and all other activities under the council – was made possible because of the support of Her Highness Sheikha Jawaher Bint Mohammad Al Qasimi, wife of His Highness the Ruler of Sharjah and Chairperson of NAMA. Porcelain is an interesting material for your works (having originated in China). How are your works received in the UAE? And globally? Porcelain was introduced into the Arab world over 2,000 years ago. The material was a staple product that was transported from the Far East along the Silk Road, with pearls from this part of the world travelling the other way. 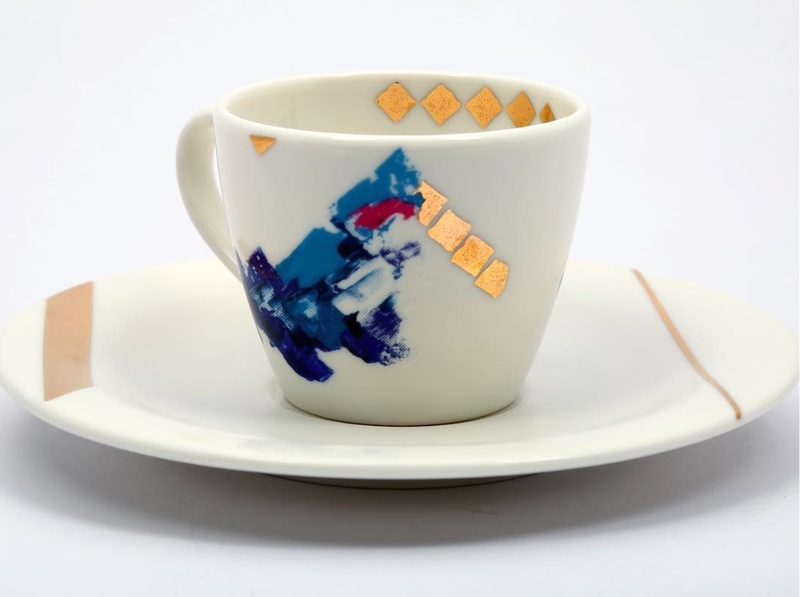 I choose to work with porcelain in recognition of its great durable qualities and flexibility that allows for various shape forms with a take on traditional Emirati handicrafts. With regards to the reception of my work, I could not have wished for better acknowledgement for what I am doing from audiences in the UAE and also from those further afield. The UAE has shown an incredible rate of modernisation over the past 50 years and has become one of the most technologically advanced societies in the world. However, Emiratis do realise that in the rush towards modernity, we may be in danger of neglecting our traditional handicrafts – crafts that are the very basis of our identity. Fortunately, the flip side of modernisation has seen increasing affluence in the UAE and this has opened the door for us to create and consume high art that blends the traditional with contemporary and allows us to maintain our heritage. Our collaboration with Fenwick is the perfect example of such an opportunity. What has been your favourite project to date and why? I have two favourite projects, the first being my Tumenah collection. This was my inaugural project which I brought out in 2011. 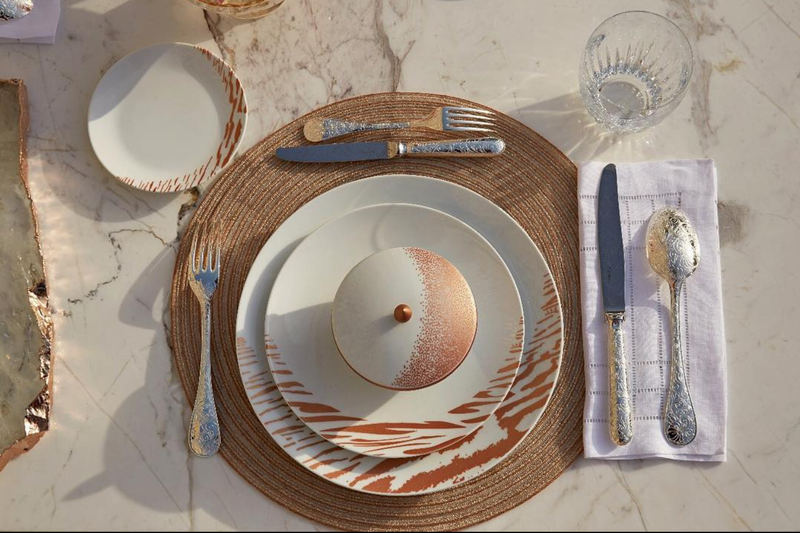 Featuring gold detailed overlay on white porcelain, the collection pays homage to a ceremony that is deep rooted in our religion and culture. In the past, when young boys and girls used to finish reciting the Holy Quran for the first time, a celebration would follow. The children would dress up in their finest and girls would be adorned with gold. The Tumenah collection commemorates this important rite of passage. My second favourite project to date is the Bidwa tea set collection, which comprises of a single and three-tier cake stands, Bidwa teapot and burner, accompanying creamer, sugar bowl, condiment set for jam and relishes and six-piece cup, saucer and tea plate sets, all crafted from the finest porcelain. 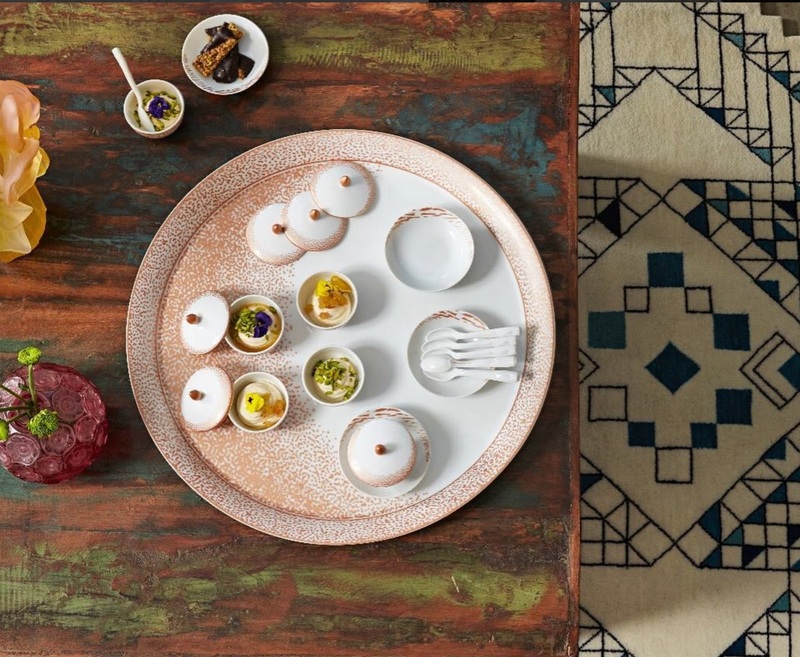 The collection was designed to celebrate ‘east meets west’ buy creating a set that celebrates the quintessentially English custom of afternoon tea. Customers preferring traditional Arabic coffee to English tea are able to make use of the silver-plated dallah (coffee pot) that is also part of the collection. What are your thoughts on the intersection of art and fashion? Where do you draw the line between the two? In my mind fashion and art are intrinsically linked – they have to be otherwise I couldn’t do what I do! I work to create conceptions that represent items predominantly designed to serve a practical purpose and aim to transform them into pieces that transcend functionality. Ultimately, art is a sensory and intellectual construct, with different audiences seeing different things. Some will see art in fashion, others may have a more conventional outlook and view art through a more orthodox framework. In my personal opinion, there is no distinction between the two. The designs I bring to my tableware collections take their inspiration from an array of sources; including heritage, architecture, interior design and nature, in order to create modern pieces. I hope that through these collections I can blend fashion and art and at the same time keep the UAE’s wonderful heritage alive. There has recently been an increase in contemporary female Middle Eastern artists. How is this artistic independence received in the UAE? In Sharjah, there are a number of pioneering initiatives to involve women in the artistic and creative fields, with initiatives such as Irthi Contemporary Crafts Council helping to empower those working in both the traditional and contemporary crafts sectors. The council not only provides designers and artisans with the key skills needed to market their products abroad, but also develops a fresh narrative for the UAE’s traditional crafts, developing the skills of artisans working on them and teaching them new techniques to enable them to reach global markets with a contemporary twist. 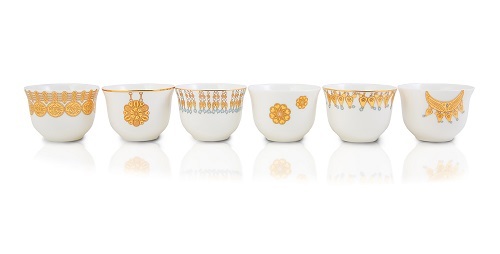 Through the council, Emirati craftswomen’s work was featured in a joint collection by Irthi and Asprey London. Titled ‘One Stitch at a Time,’ the collection comprised limited-edition premium leather handbags that incorporated approximately 100 metres of the artisan’s Talli handiwork lovingly crafted over six months. The bags were welcomed with rave reviews during the collection’s launch at Asprey London in July 2016. Additionally, as part of the council’s ongoing collaboration with Accademia Italiana – the acclaimed international fine arts university – Emirati fashion was featured at the prestigious Alta Roma fashion week in Rome, with Talli-inspired designer garments taking to the runway. All these activities and successes are displaying a high degree of artistic independence and integrity that is supporting emerging artists from the UAE. Written by: admin on August 3, 2017.